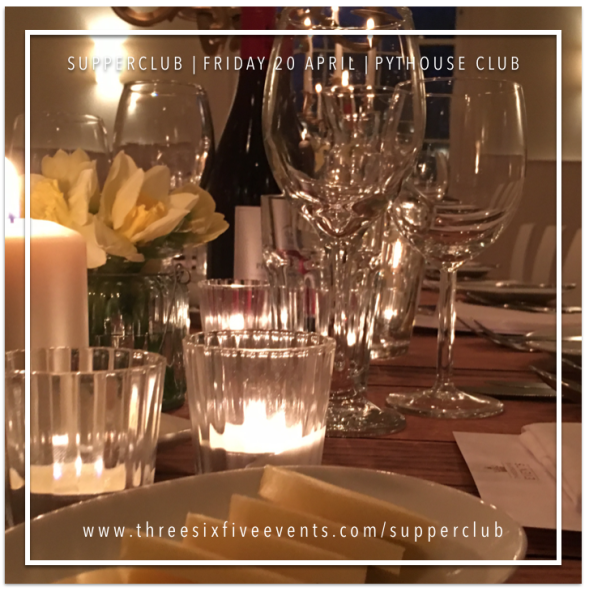 We're delighted to be working with ThreeSixFive Events to deliver a Supper Club at Pythouse Club in Tisbury on 20th April. We will be using fresh, local, seasonal ingredients to serve up delicious food at a unique venue. The all-inclusive ticket includes welcome drinks and canapes on arrival, followed by a sit-down 3-course meal, accompanied by wine throughout the evening.